KAREN IS DIAGNOSED WITH CHRONIC MYELOID LEUKAEMIA and immediately begins fundraising by agreeing to front a campaign for the Sue Harris Bone Marrow Trust. This results in thousands joining the bone marrow donor register and tens of thousands of pounds being raised. KAREN’S CAMPAIGN FOR LEUKA 2000: Karen requests that all fundraising in her name be given to Leuka 2000 at Hammersmith Hospital. At the tender age of 23 Karen loses her fight to live. Inspired by Karen’s initiative, her family and friends continue to raise funds for leukaemia patients and their families. KAREN MORRIS MEMORIAL TRUST BECOMES A REGISTERED CHARITY. The KMMT trustees identify the ‘KAREN’S HOME FROM HOME’ project for leukaemia patients and their families. In recognition of the fact that such a project can take many years from identification to fruition, the trustees agree to fund complementary services for leukaemia patients, their families and staff which would not otherwise be available but which are proven to be of such benefit to leukaemia patients. The initial commitment would be for two years with the hope that, having proved the need for such a position, alternative funding could be found after the two years. KAREN’S ROOM: The new leukaemia building at Hammersmith Hospital opens. The day room, funded by money raised by Karen and topped up by the KMMT (total £40,000) is dedicated to Karen. KMMT supports Hammersmith Hospital Haematology Department’s flat for leukaemia patients’ families and buys additional furnishings to make it welcoming and comfortable, thus enabling a much needed facility to continue and affording a pilot scheme for Karen’s Home from Home. KMMT funds Jill Alexander and Hameeda Chaudhry-Hill, Complementary Therapists at the Royal Free Hospital, London. KMMT funds Ann Bond, Counsellor at the Queen Elizabeth Hospital, Birmingham. The KMMT initially commits to two years’ of funding a complementary service for leukaemia patients, their family and staff which would not otherwise be available but which are so valued by all who benefit. During this time it is hoped that the need is proven and alternative funding will be found to continue the service. In reality, and particularly during these times of NHS cutbacks, KMMT funding has continued for far longer. The first Karen’s Home from Home opens its doors at Hammersmith Hospital, London. The picture below shows KMMT Chair Sylvia Morris cutting the ribbon at the opening. KMMT funds Sharon Reynolds, Complementary Therapist at the Queen Elizabeth Hospital Birmingham. KMMT funds Shahnaz Hama, Clinical Support Nurse at Nottingham University Hospital. The second Karen’s Home from Home opens its doors at the Churchill Hospital, Oxford. KMMT funds Jane Cornwall, Counsellor at Coventry and Warwickshire University Hospital. The third Karen’s Home from Home opens its doors at Addenbrooke’s Hospital, Cambridge. The picture below shows Andrew Lansley MP, then Minister of Health, opening the 3rd Karen’s Home from Home. The KMMT funds Michael Rennoldson, Clinical Psychologist at the Royal Hallamshire Hospital, Sheffield. Official opening of the new Bristol Haematology and Oncology Centre; the KMMT funds the Patients’ Room. The fourth Karen’s Home From Home opens its doors at the Queen Elizabeth Hospital, Birmingham. 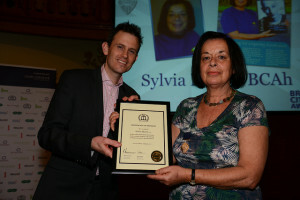 KMMT Chairperson Sylvia Morris was awarded with the British Citizens Award. 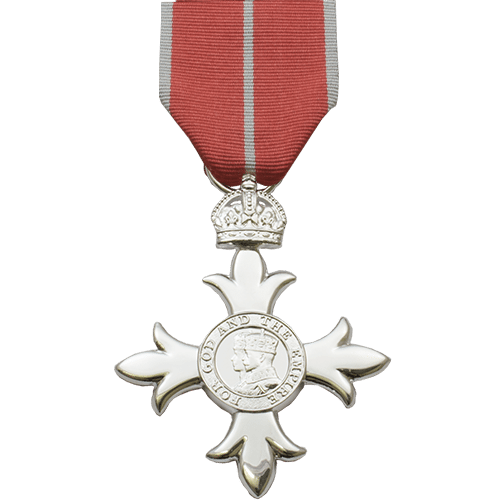 This was to honour all the hard work that Sylvia has put in to helping so many other people going through such difficult times. 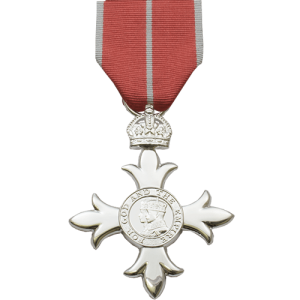 Karen’s mum receives an MBE from the Queens New Year Honours list 2017. The KMMT is delighted that Sylvia’s hard work is given the recognition it so deserves. Whilst the main objective of the KMMT is Karen’s Home from Home for leukaemia patients and their families, Trustees continue to evaluate projects at leading haematology departments throughout the UK for which there is no NHS funding and which would go a little way towards alleviating the suffering of leukaemia patients and their families. Join us in honouring Karen's memory by continuing her work.